Our SOuL Searchers Paranormal Investigators (SOuLSPI or “soul spy”) team is composed of individuals with a variety of talents both scientific, spiritual & psychic, including skeptics & believers. Each investigation is conducted in a professional manner, addressing any concerns such as privacy, safety & security. Adherence to the wishes of the client is paramount in every case study. We conduct all investigations free of charge & all members are volunteers. SOuLSPI conducts in-depth evaluations of spiritual activity from a shamanic perspective in order to help grounded souls move on to higher realms & to further our own understanding of the nature of spirits & the afterlife. We use a common sense scientific approach to all our investigations but also have an open mind to all belief systems, theories & methodologies. Grounded Spirit: this is a spirit that has not passed over and is stuck in between realms. The energy will be dense and can usually be sensed in your solar plexus. Active Spirit: Is not grounded, has a lighter energy and can visit and interact with humans. Residual Energy: this is an energy of a traumatic experience that becomes embedded in the environment and is repeatedly played out over and over under certain circumstances. Ensure that all devices are undamaged, properly operating, and have fully charged batteries. Make sure there is film or memory cards in all cameras. Have a pen and pencil for note taking. Don’t rely on PDAs in case of a malfunction or battery drain. Carry a watch for noting times of occurrences and specific details. Use walkie-talkies to keep in touch with other team members. Bring a flashlight. Again, check the batteries. Have a first-aid kit on hand for emergencies. Note weather details such as temperature, humidity, barometric pressure, and wind direction and speed. Note solar and geomagnetic activity. Studies have shown that both have an effect on the earth’s own magnetic field. If possible, research geological information about the location. There is speculation that areas high in magnetism can trigger psychic and paranormal experiences. Note the lunar phase. Lunar phases also affect the earth’s magnetic field. An initial site investigation should be done in daylight hours so you can see the actual landscape and can note possible hazards. 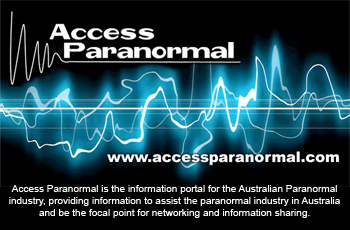 Also this site visit can give you clues regarding possible hot spots for paranormal activity. If you only conduct night time investigations then you are missing out on vital phenomenon, because paranormal activity can happen during the day. One of the advantages of investigating during the day is when taking pictures if you happen to get orb’s, they are less likely to be dust or insects showing up. Give the site a thorough once-over. Note any bushes or tree limbs that have contact with the house and could cause banging or scraping noises. Look for visibly loose boards, siding, shingles, rain gutters, or shutters. Note also the position of any street lights etc if taking pictures at night. While outside, stand in several different locations and observe if there are any sound amplification points. House angles, trees, and terrain changes can effect how sound travels. Indoors, check all windows and doors for drafts. Rooms containing fireplaces should also be examined closely. Is the flue open or closed? Are there any animals nesting in the chimney that may be causing unexplained noises? Never go off investigating alone, always have some one with you at all times. Minimize conversation during the investigation. Silence and observation are the key components to successfully picking up signs of paranormal activity. Safety first. If a structure or area looks dangerous, avoid it. Don’t climb rickety ladders, unstable staircases. Don’t walk on rotted floorboards. Don’t touch bare wires. When placing equipment, make sure it’s away from electrical and magnetic sources such as breaker boxes or stereo speakers. Try to get double coverage on a room or specific location: two cameras, two audio recording devices, one of each, etc. Turn off mobile phones while conducting an investigation. There should be no smoking allowed in or near the investigation area, as smoke can be mistaken for apparitions in photographs or video, and can mask odours associated with the investigation. When experiencing something paranormal, it’s good to expose another investigator to it, but without revealing anything in particular to them. Some people are very susceptible to the power of suggestion and could easily be influenced. If something unusual happens that causes an investigator to feel that they should immediately leave an area, NEVER run, as this can lead to more confusion and can result in an accident. CALMLY leave the area as quickly and as safely possible. The most important function of a paranormal investigation is data collection. In order to substantiate a paranormal experience one needs to have comprehensive and logical data to support it. Modern science regards a hypothesis as scientific if it produces in depth and tested evidence. Unfortunately most paranormal investigations are inadequately recorded. Many are based purely on witness testimony which is often interpreted from a personal religious and philosophical view point and it should also be noted that witness testimony can be at times the only information to a particular paranormal experience. However, while acknowledging the witness account’s limitations the information can be utilised as a basis for further more controlled investigations. Another common problem is that witness accounts are often not reported or documented at the time of the paranormal event and consequently important information is lost or corrupted over time. It is therefore vital to the integrity of the investigation that both witness accounts and technical data is gathered at a central point prior to the ending of an investigation. To further protect the integrity of the evidence, paranormal team members should be discouraged from discussing findings with each other until all evidence and data has been collected. Once data has been collected then the analysis of all evidence can be undertaken and discussed with the investigation team. See our equipment list for the types of equipment that are often used during a paranormal investigation.